Stuck In The Buckosphere: Back from vacation... snow by Christmas? 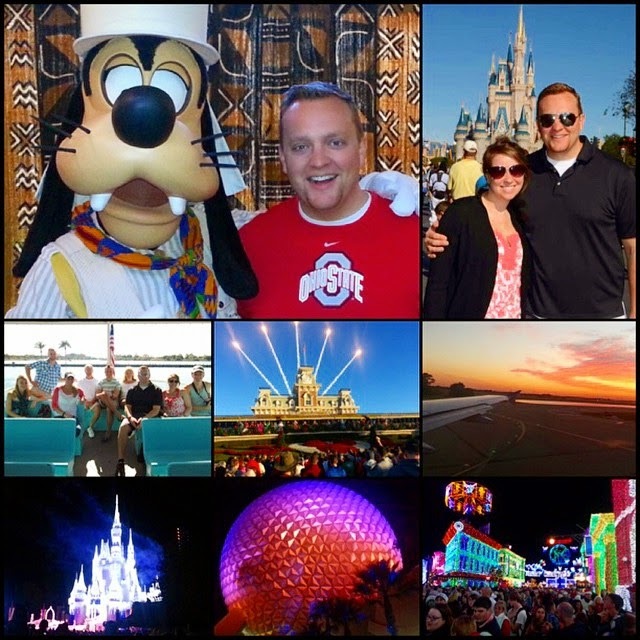 I had a fantastic time at Walt Disney World the last week. The entire Michael family was there for the fun. 70's and sunny all week long... Hard to come back to frozen Ohio. Sunday we will see more sun later in the day. Monday looks fairly dry for Ohio as well... Maybe a rain shower later in the day. Then by Tuesday rain rolls in and same for early Wednesday. Our temps will be warm those days... likely in the 50's. But then the temps fall like a rock starting midday Wednesday, Christmas Eve. If the precipitation is still around when the temperatures fall into the 30's then a rain/snow mix is very likely. 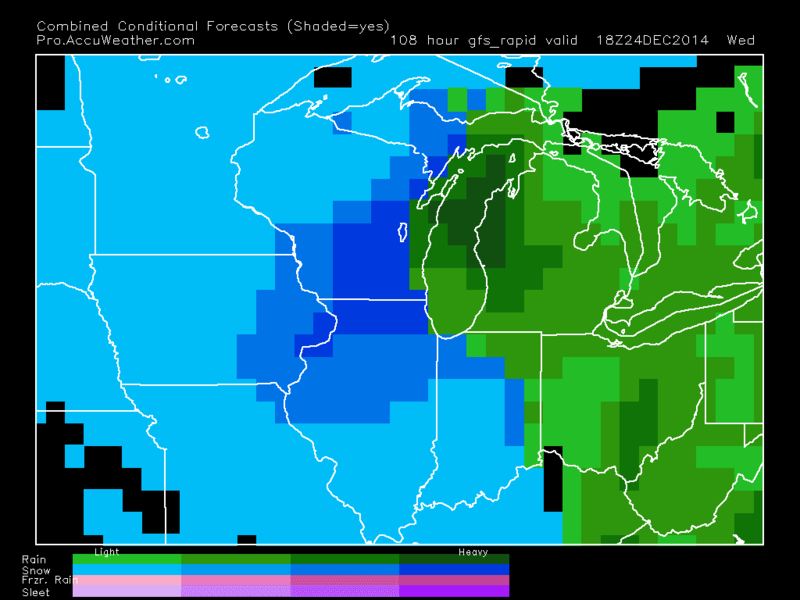 This is the latest GFS forecast model for 1PM on Christmas Eve... The cold air is pushing across the Indiana-Ohio border. It is all about timing... if the cold air pushes in while the moisture is still around. As of right now, I think we will see only rain Tuesday, and heavy rain at times late Tuesday into early Wednesday. Then Wednesday afternoon we see some snow mixing in and some lingering light snow showers for early Thursday. Still WAY too early to put a number on it. If someone is tossing out how much snow, don't buy into it much... because the storm system is still out on the Pacific coast... a small adjustment in trajectory could throw this all off of alignment. I think we could have a dusting or a tad more, but the ground will be wet from the rain... check back for another update tomorrow. Have a good one!